What does our business gain by having a PIM? These questions and more are answered in our informative guide. Over the last nine years, we have guided many companies through their PIM implementations, and in that time we have learned the success factors needed, and the pitfalls you should avoid. 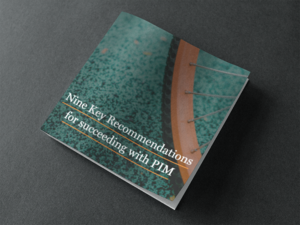 In this guide, we have compiled nine key recommendations that we hope will help you get the most out of your investment in PIM.